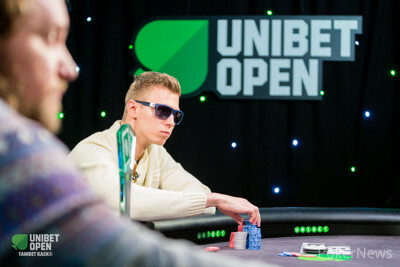 Gerret Van Lancker is the new Unibet Open London champion! 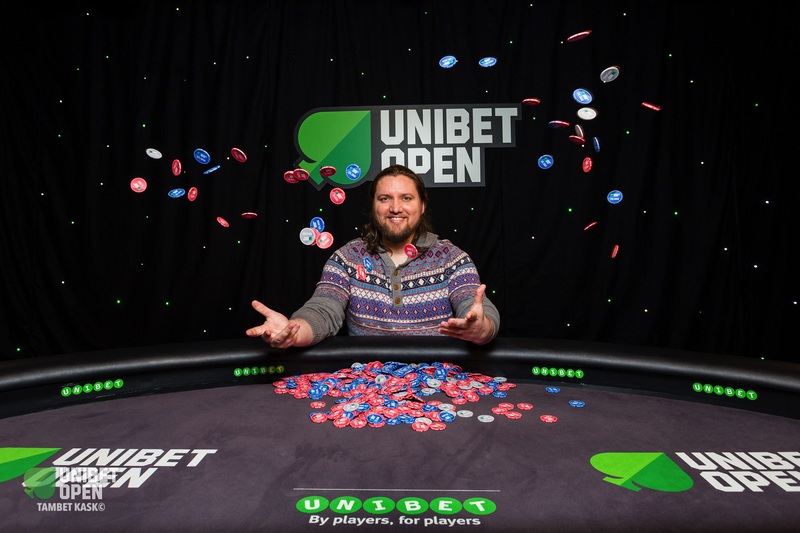 At his third Unibet Open final table, the Belgian finally outlasted all other players to win the first Unibet Open of the 10th season. 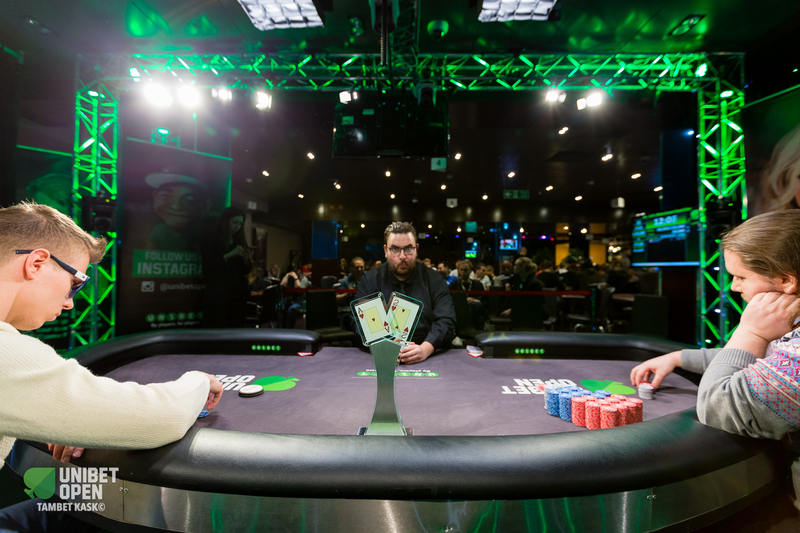 Dejan Govedic of Slovenia finished second, Anton Kuznetsov of Russia became third and start-of-the-day chip leader Francis Foord-Brown finished in fourth. 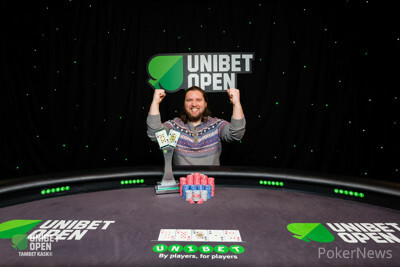 Van Lancker became the second Belgian to ever win an Unibet Open event, following in Filip Verboven's footsteps who won Unibet Open Prague in 2012. On top of the prestige, Van Lancker received a massive first prize of £71,950 to boost his bankroll. The day started off with 13 hopefuls, but the field was quickly whittled down to 10. Portugal's Fabio Miranda was the first to go. With his last few blinds, Miranda ran king-deuce into the ace-jack of Foord-Brown and didn't improve. Miranda received £5,470, which was the same amount Tamer Kamel received. The accomplished pro, with over $1 million in lifetime winnings, shoved ace-nine into pocket aces and headed for the rail in 12th place. Another experienced player, Pavlos Xanthopoulos, dropped in 11th by losing king-nine against ace-king. Krzysztof Jaguscik became the final table bubble after failing to improve his kicker with ace-trey against ace-eight. 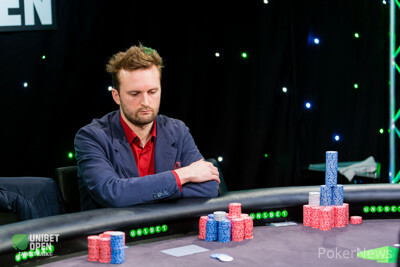 At the final table, Van Lancker quickly doubled up with pocket queens against Foord-Brown's pocket nines. Shortly thereafter, Martin Gallagher was the first to bust. The British plumber couldn't get away from pocket jacks against pocket kings and received £7,010 after failing to improve. Spain's last hope, Manuel Bardon dropped in eighth place with queen-jack against ace-king, followed by Germany's Kevin Barden in seventh. Barden was super short and had to go for it with jack-ten. He ran into ace-king and didn't find his outs. One of the sensations of the final table was Rauno "Ben" Tahvonen. With his positive antics, the 26-year-old Estonian skateboard instructor quickly got many followers on Twitch on his side. Exuberating the fun and friendly play style Unibet propagates, Tahvonen nurtured his short stack throughout the final table with a smile. After escaping with ace-king against aces, Tahvonen eventually busted with ace-jack against pocket sixes to go out in sixth. Another notable player succumbed in fifth. It was Bhavin Khatri, who's second deep run in two years led to another final table. Last year, Khatri finished second behind winner Dave Shallow. Khatri's final hand was a classic: aces versus kings, but unfortunately for the tennis academy owner, a king flopped to send him packing. Van Lancker was the one with kings in that hand and he won another big hand against Foord-Brown in a flush-over-flush situation. The Brit never recovered from that and busted in fourth with queen-seven against Van Lancker's ace-ten. Van Lancker never looked back after that and got rid of Anton Kuznetsov as well. After losing some chips against a rivered straight, Kuznetsov opted to shove with eight-seven suited. Van Lancker called with king-jack and won the hand after neither player improved. The Belgian started the heads-up with a 4 to 1 chiplead and whittled down his opponent Govedic even more. The Slovenian decided to make a stand and tried to turn things around by shoving all in with jack-five but Van Lancker called with jack-ten. On an ace-high board, Van Lancker's ten-kicker played to make him the second Belgian winner after Filip Verboven's 2012 victory in Prague. That's all from The Poker Room in the Grosvenor Victoria Casino in London, affectionally known as 'The Vic'. The first stop of the jubilee 10th season was brimming with action, excitement and joy all around. Join us next time in Copenhagen from May 25 - 28 when PokerNews will bring you all the action from the next stop of the Unibet Open! Dejan Govedic was down to 1,500,000 and shoved with . Gerret Van Lancker picked up and gave it nearly two minutes of thought before making the call. Govedic, besides looking for a five, had some chance to chop as well. The on the flop wasn't good for the Slovenian, but the on the turn gave him more chance at the chop. 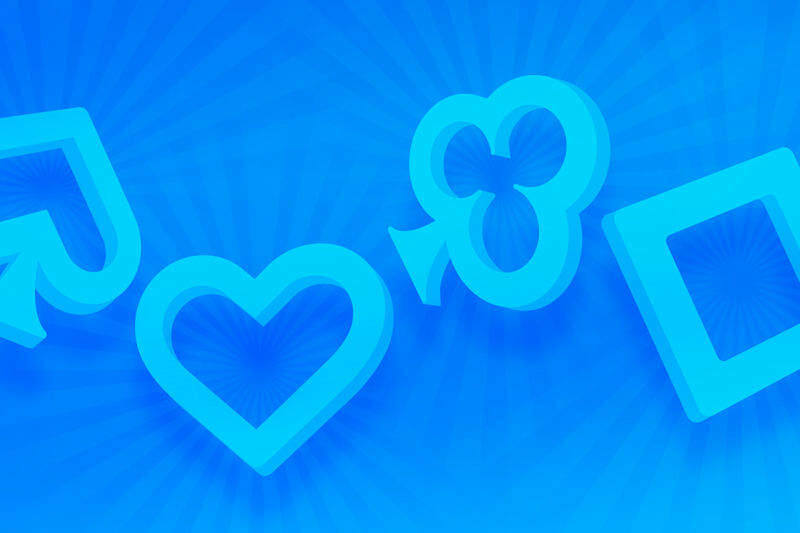 Both players intensely stared at the felt before the dealer burned and turned the river. It was the , which let Van Lancker's ten kicker play and gave him the winner. Godevic walked up to Van Lancker and congratulated his opponent on the victory. A well-deserved round of applause sounded for Govedic, who's solid game eventually took him to the second place. The Slovenian received £45,060, by far the biggest score of his career. It's Gerret Van Lancker who dragging the majority of the small pots so far. Govedic is down to 18 big blinds. Dejan Goveidic has picked up aces for the third time at this final table. Gerret Van Lancker defended with , but quickly check-folded on a flop. Both players returned from a small break and have started heads-up action. Who will become the first Unibet Open winner of the jubilee tenth season? Van Lancker will start with a 4:1 chip lead. After losing the previous hand, Anton Kuznetsov was left with 1,500,000 and open-shoved from the small blind. Gerret Van Lancker called from the big blind to try and eliminate the Russian. Kuznetsov picked up extra outs on the flop. The river and river missed all those outs and Kuznetsov headed for the rail in third place. The Russian, who had €1,807 in total live earnings before this tournament, received a massive paycheck of £31,070. Gerret Van Lancker opened with on the button and Anton Kuznetsov defended . On the flop, Kuznetsov check-called a 275,000 bet from the Belgian. Both players checked the on the turn. Van Lancker got there on the river. Kuznetsov checked, Van Lancker bet 400,000 and after much deliberation the Russian paid it off. Who Will Win the 2017 Unibet Open London Main Event?